It’s the Cloud you’ve been looking for! 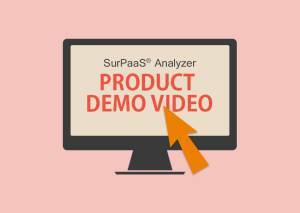 Discover how SurPaaS® Analyzer enables you to embrace the Cloud faster. 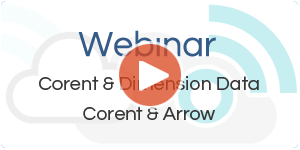 Scan and analyze multiple applications in their on-prem environment and generate cloud migration strategies. Perform automatic deep cloud assessment to identify the operational and business advantages. Compare amongst your cloud choices. Get Cloud insights within minutes. 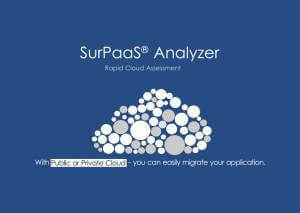 SurPaaS® Analyzer maps your application workloads to its finest details. 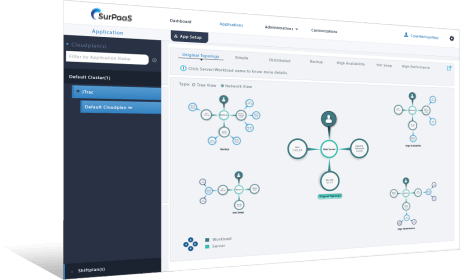 Gives you better insights on how you can re-architect your app deployment to meet your cloud migration and PaaS objectives. Choosing the right Cloud Deployment model can reduce cost, down-time and resources. 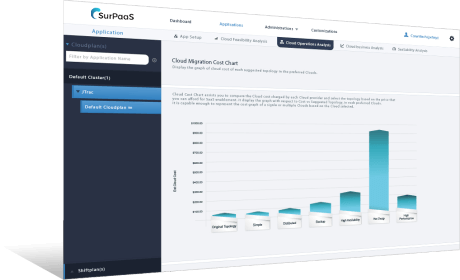 Get objective based scenario analysis for your application by factoring in customized 'what if' scenarios related to your Cloud migration needs for scalability, DR, redundancy, performance, security, etc. Before migrating to Cloud, remove the element of surprise by modelling all the factors related to cost and operations planning. 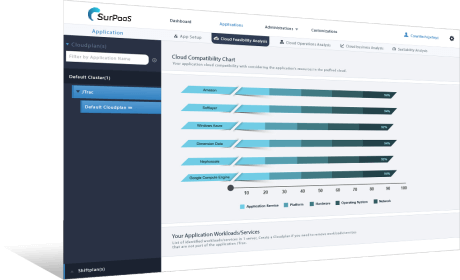 SurPaaS® Analyzer allows you to compare costs and compatibility of any application and its workloads against each Cloud. 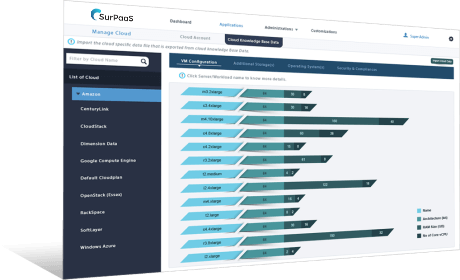 Integrated with a resourceful Knowledge Base, SurPaaS® Analyzer can learn, identify and profile new workloads. 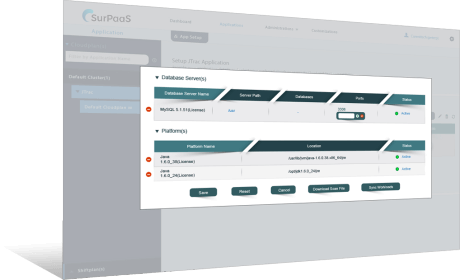 This enables Enterprises, System Integrators and Service Providers to build vertical domain-specific knowledge base and model their data center and private clouds for effective cloud migration.